“We are informed that a large number of names are in the pipeline for appointment as High Court Judges. We would request the learned Attorney General to please look into this and do the needful as expeditiously as possible.” remarked a Supreme Court bench on Monday. 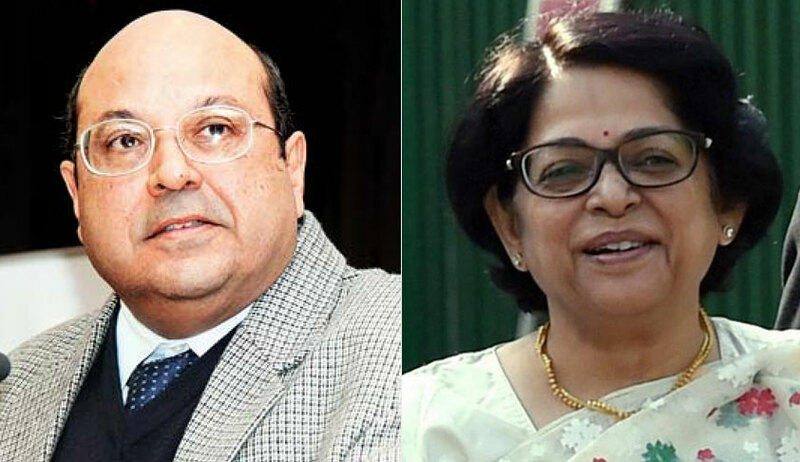 The bench of Justice Rohinton Fali Nariman and Justice Indu Malhotra was considering a contempt petition against President And Secretary of the Bar Association of Calcutta High Court. Apex court bench had ‘summoned’ the President and Secretary of the Bar Association of Calcutta High Court, who had given the call for strike. Taking note of the justifications by the Bar Association officials, the bench observed that at continuing a strike even on the ground that the strength of the Court is woefully diminished is contrary to the dictum laid in Ex-Capt. Harish Uppal vs. Union of India. The court closed the contempt proceedings in this regard. In April, the lawyers in Madhya Pradesh had also made a strike call in which one of the grievances raised was with regard to appointment of High court judges. In a writ petition filed by a lawyer, the High court observed that call to abstain from judicial work violates fundamental right of an advocate. Recently, the High court issued significant directives against the call of a strike by State Bar Council and Bar Associations, including debarring members/officials of the Bar Council/Association which gives a call for a strike, from appearing before courts. In a related development, Minister of State For Law And Corporate Affairs PP Chaudhary has revealed that 27 recommendations from the Supreme Court Collegium are currently pending consideration with the Centre. The Minister's statement comes as a response to an unstarred question by Congress MP Dr. Shashi Tharoor in the Lok Sabha. "At present, 143 names recommended by the High Court Collegium have been submitted and pending with the Supreme Court Collegium. Further, 5 names recommended by Supreme Court Collegium have been referred back by the Government to Supreme Court for reconsideration and 27 proposals including those names reiterated by Supreme Court Collegium are under various stages of processing with the Government, as per the procedure prescribed in the MoP".